The Miele’s products for the house are all born from a specific philosophy: long life and work without problems because they are made with the best technology available. The belief that the long-term success is achieved only if we can blindly trust its quality has always been the strength of the company. A perfect synthesis of technology and design where maximum functionality merges with extreme aesthetic refinement: All Miele products are able to blend into any environment, making it unique, without losing the possibility to choose between different combinations. 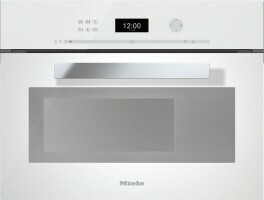 Are you interested in Miele?